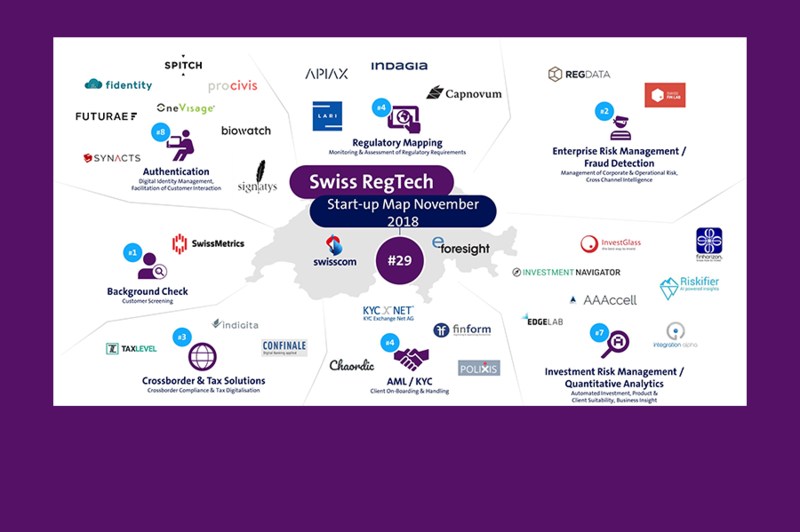 On 23 November 2018, Fintechnews Switzerland published the Swiss RegTech Startup Map (Q3). Each quarter, Swisscom teams up with e-foresight to publish a market overview of Swiss RegTech start-ups with a categorisation based on areas of activity. The focus is on the following areas: Authentication, AML / KYC, Enterprise Risk Management / Fraud Detection, Investment Risk Management / Quantitative Analytics, Regulatory Mapping. Polixis was included in the Q3 map of Swiss RegTech start-ups, specializing in the area of AML / KYC. Click here to follow the article.